Here's an early press item about Ella Raines from 1943 promoting her first film, Corvette K-225. 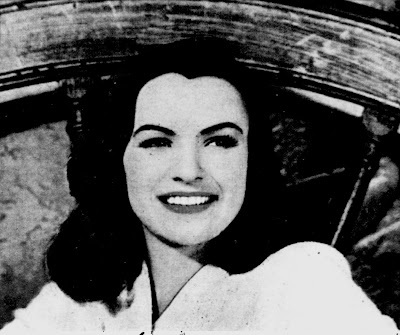 The article discusses how Ella Raines entered the Hollywood scene so fast and so prominently. 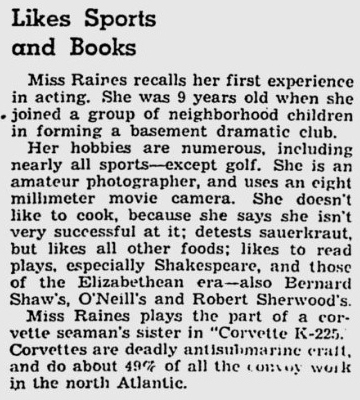 It also talks gives a bunch of background information on the actress.